For one month during the summer of 2011, a team of nautical archaeologists descended on the tiny island of Nevis in the West Indies to study the supposed remains of a British frigate, HMS Solebay, lost during the Battle of Frigate Bay in A.D. 1782. While small in size (less than 36 mi2/93 km2), Nevis played an extremely large role in world history through the historic sugar and related slave trade into the Lesser Antilles. Solebay provides a glimpse into this seminal period and battle between the British and French navies. The remnants of this vessel have remained scattered across the ocean floor since its loss in 1782. 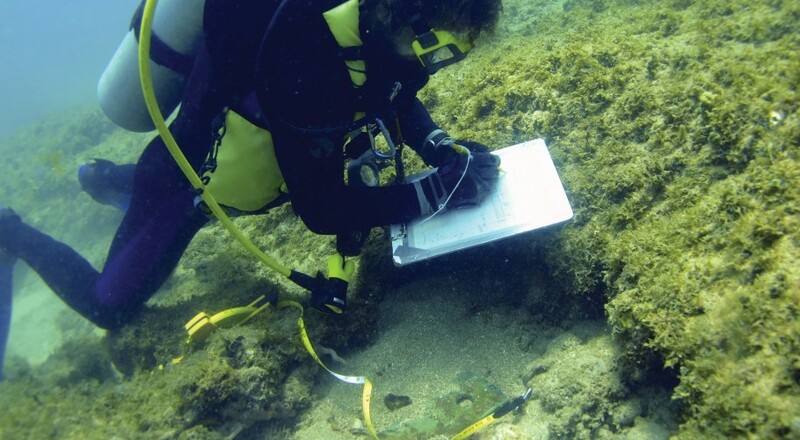 Discovered in March 2010 by an ad hoc team of Nevisian and international researchers, Dr. Chris Cartellone went to the site in 2011 with simple and clear goals: delineate the site, identify materials, affirm or deny the wreck as Solebay, and establish a precedent for high quality underwater archaeological investigations on Nevis. While HMS Solebay may have been subject to salvaging, metal materials still remain on the seafloor including cannon, carronades, ballast, musket balls, copper tacks and keel staples, and various encrusted artifacts. To record the artifacts, the author led a research team of faculty, students, and volunteers from multiple institutions for a month this summer. 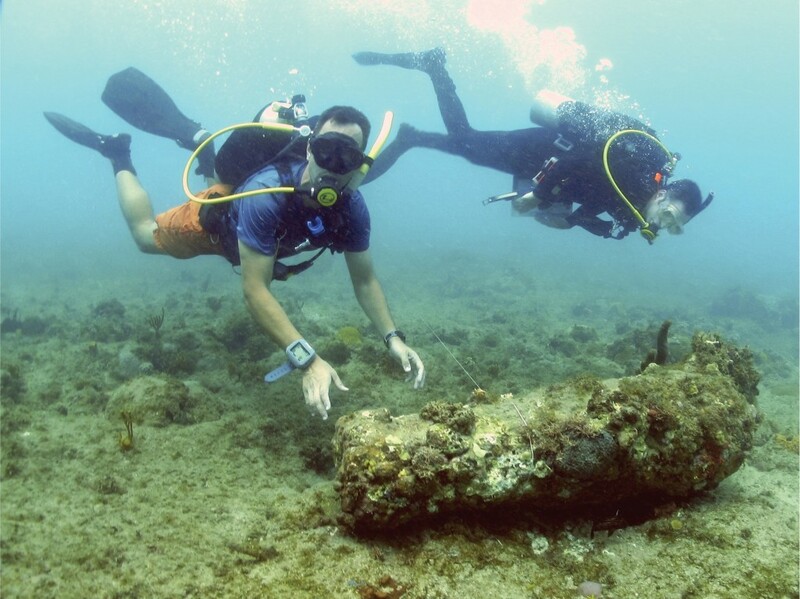 Techniques consisted of scuba diving with direct measurements, bearing-distance relationships, circle searches, photography and video recordings, metal detecting, and use of INA’s magnetometer to help locate cannons or ballast in the greater debris field. The team has identified a total of six guns, including two carronades that are both unique in their design. Thanks to local support from the Brimstone Hill Society, stewards of the Brimstone Hill Fortress National Park—a UNESCO World Heritage Site—the team recovered more than seventy small artifacts that are undergoing conservation at Texas A&M University’s Conservation Research Laboratory. ABOVE: Chris Cartellone and Justin Parkoff recording carronade (Photo: INA, taken by Paul Diamond 2011).